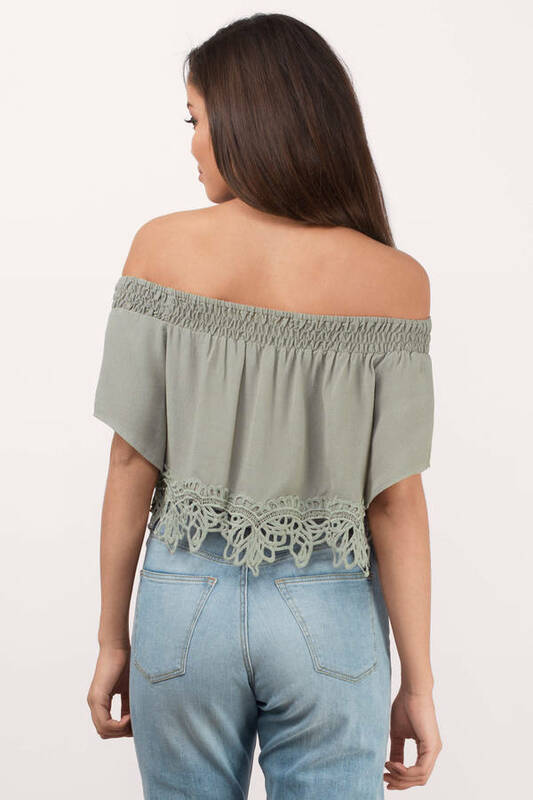 Check out Tobi's Haven Off Shoulder Crop Top Have fun with the Haven Off Shoulder Crop Top. 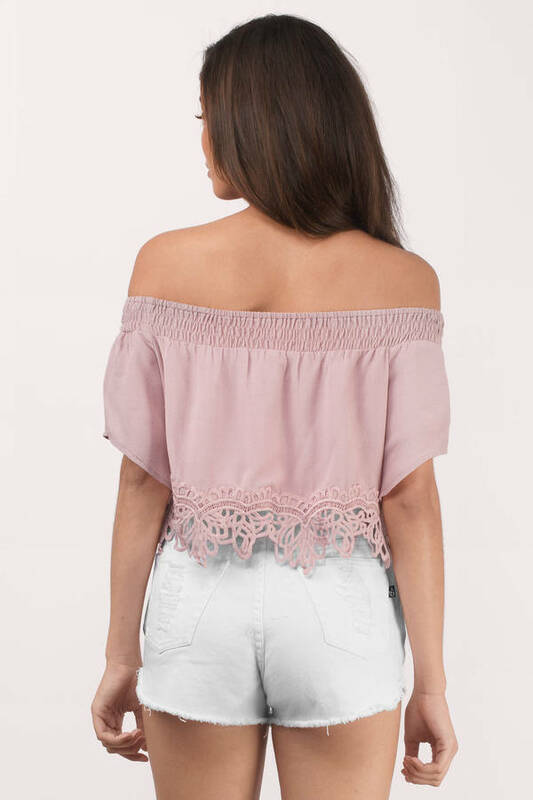 Featuring a off shoulder neckline. 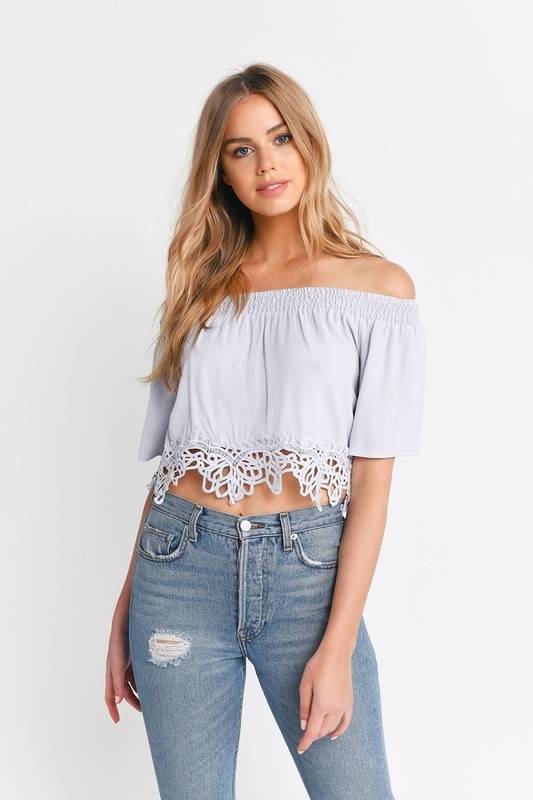 Pair with denim shorts. 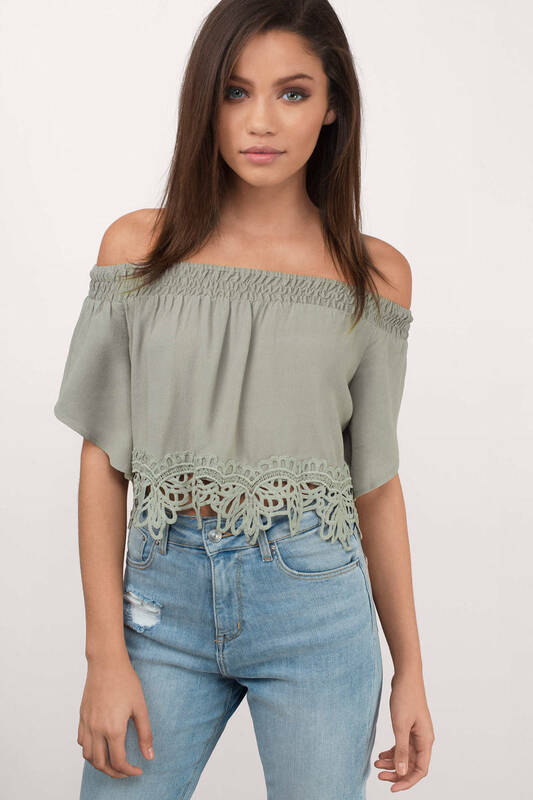 Have fun with the Haven Off Shoulder Crop Top. 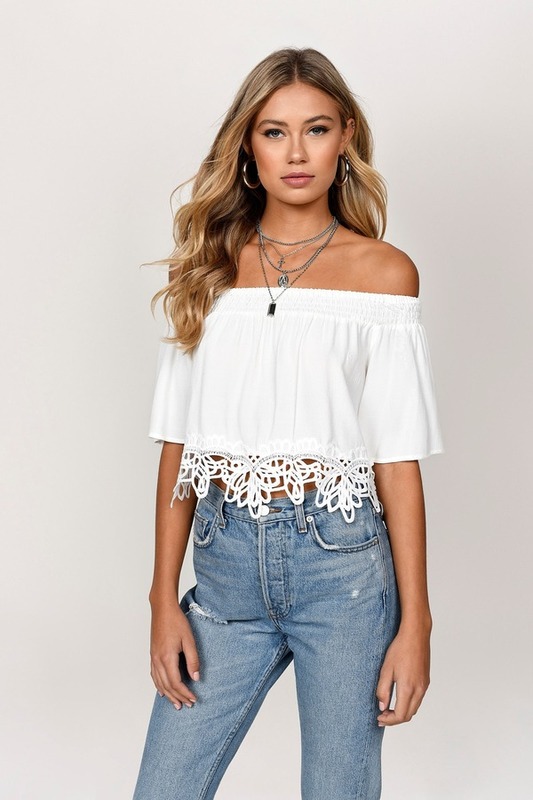 Featuring a off shoulder neckline. 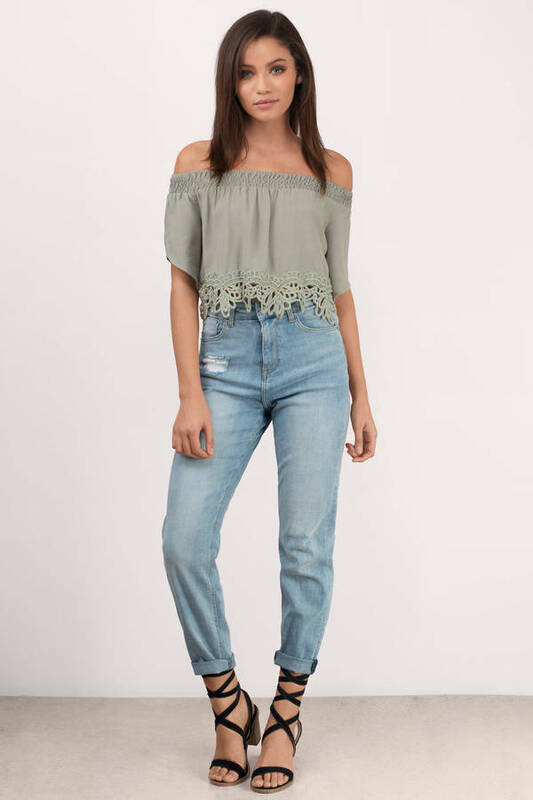 Pair with denim shorts. Olive & Rose modeled on a size Small. Cream, Light Grey modeled on a size Small.